and that is how I feel about this remarkable and spectacular game. I may not know what makes a classic video game, but I know I just played one. what I hadnt anticipated was the gripping and engrossing story. he goes out and captures or kills his old gang members and he can have his wife and son back. That is the set up. and along the way they would name my horses and give me advice and guidance over what to do next. Now thats what I call some quality father/daughter time! the beauty of puddles evaporating on the plains. But the one aspect of the game that piqued my interest more than anything else is how the idea of leveling up is dealt with. and I ended on a great note. I haven’t mentioned the music yet… pitch perfect. There are moments as you are coming closer to a bounty or a gang hideout when the music kicks in and amps the excitement up more than a few notches. At other times, the music is mellow and easy as you ride across the stunning landscape. In Mexico I was a bit thrown off by what sounds to be a nice little jazz number… but overall, a phenomenal soundtrack which only help to amplify the atmosphere and place you that much more into the story. I cant call the game difficult. Although there are a number of challenges and the main story line leads to some challenging moments where I would die a few times before understanding what I had to do, at no point did I ever feel frustrated with the need to start over or scrap it all. In one rather long stretch in Mexico the story begins to feel a bit worn thin and you really want to get to point, but that sojourn ends in a very satisfying way and spurns you on to complete the story. I dont imagine there is much more to say about this game that hasnt already been said. Highly praised and considered one of the all time greats in the pantheon of great video games. The day I bought my PS3 I got this and Dead Island. Dead Island was what drew me in, but I was aware of Red Dead Redemption to the point that I realized it was a must play game. That was the best decision I have made in a while. but affected by the story. By the power of a great tale. 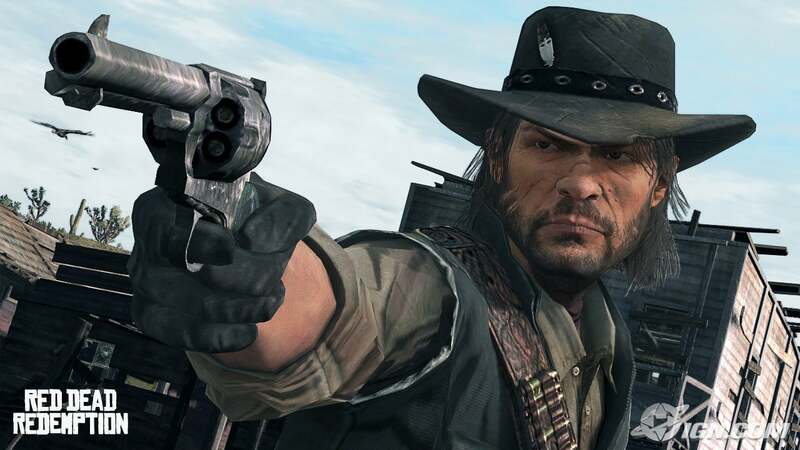 THAT is what Red Dead Redemption offers, and THAT is what sets this game apart from others.